Guruatma specializes in presentations and programs that speak to the issues of chronic & critical illness –embracing change, managing stress, and creating a balanced life in the face of choppy waters. Bringing to the platform her humor and tenacious spirit, she is a shining example of the principles she inspires others to embrace – self-awareness, self-acceptance and self-care. 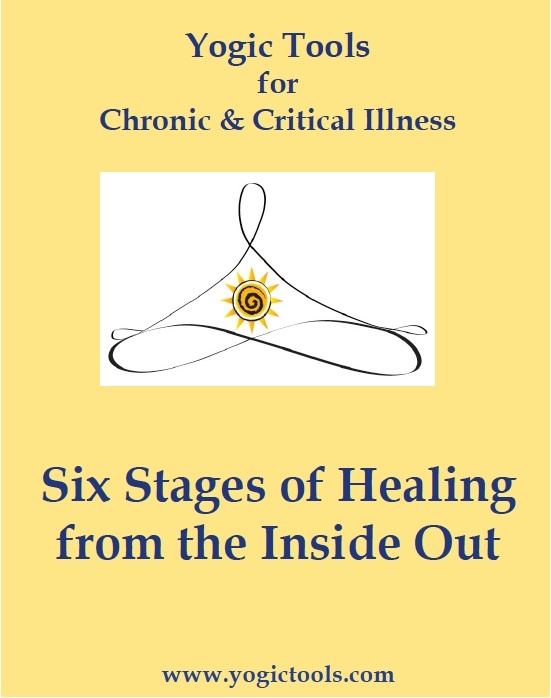 Guruatma offers programs on a wide variety of topics pertaining to chronic and critical illness, while introducing user-friendly tools from her popular blueprint, Six Stages of Healing from the Inside Out. She is known as the ‘Breath Whisper’ because she loves to teach people how to consciously breathe. Below are the building blocks for customized talks which Guruatma designs specifically for each client and organization. Having dealt with a serious, rare and relapsing autoimmune disease throughout her adult life, Guruatma has inspiring and practical advice to share about how she used both modern and alternative medicine, incorporated a yogic lifestyle, and overcame life-altering challenges. Distilling her experience and lessons into Six Stages, Guruatma offers guidelines for walking the path of a chronic or critical illness and teaches easy exercises to shift your focus, relax your mind and elevate your spirit. Audience members will not only leave energized and inspired, they will go home with specific yogic tools to apply to their own lives. When you are challenged with a chronic or critical illness, it becomes your ‘new job’ to take care of yourself. Part of that self-care is learning how to get the most out of your doctor appointments. Guruatma shares tools she has developed over the years to become the best manager of your own health care. For example, she shares insights and tips on how to respectfully and effectively interact with doctors, nurses and medical personnel. 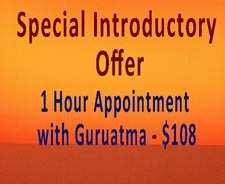 Guruatma offers highly valuable information that will leave an audience empowered as a patient and feeling like they can get the care they deserve. Losing your nose at the vulnerable age of nineteen to an undiagnosed disease that eats the cartilage in your body would be enough to harden most of us. 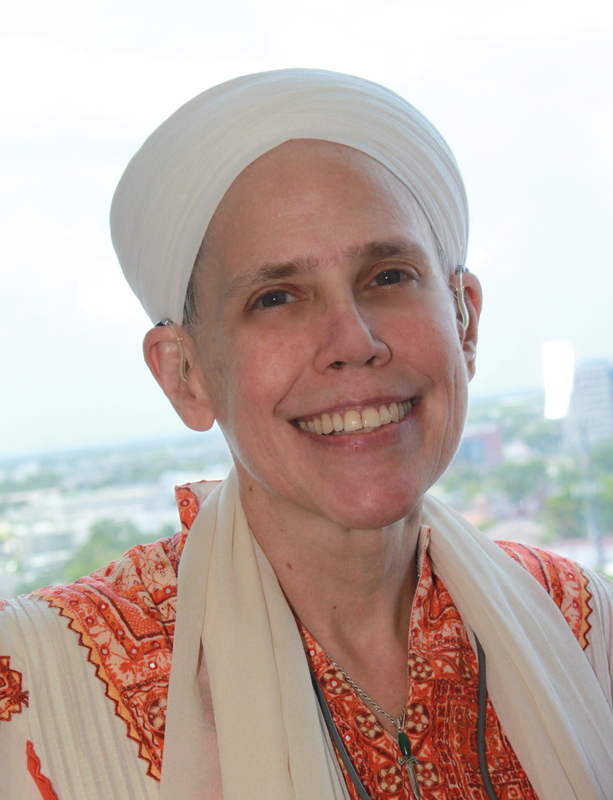 Heap on top of that the complete loss of your hearing in both ears during the course of chemotherapy, and the last thing you would expect from someone who has experienced these tragic and fearful losses is an energetic, deeply caring, captivating and entertaining individual. 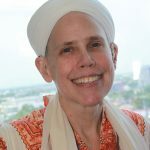 Guruatma shares the story of her life-altering journey and ultimate win over the disease she is challenged by, and how her pain and suffering turned out to be the wake up call that summoned her to embrace self-awareness, self-acceptance and self-care.